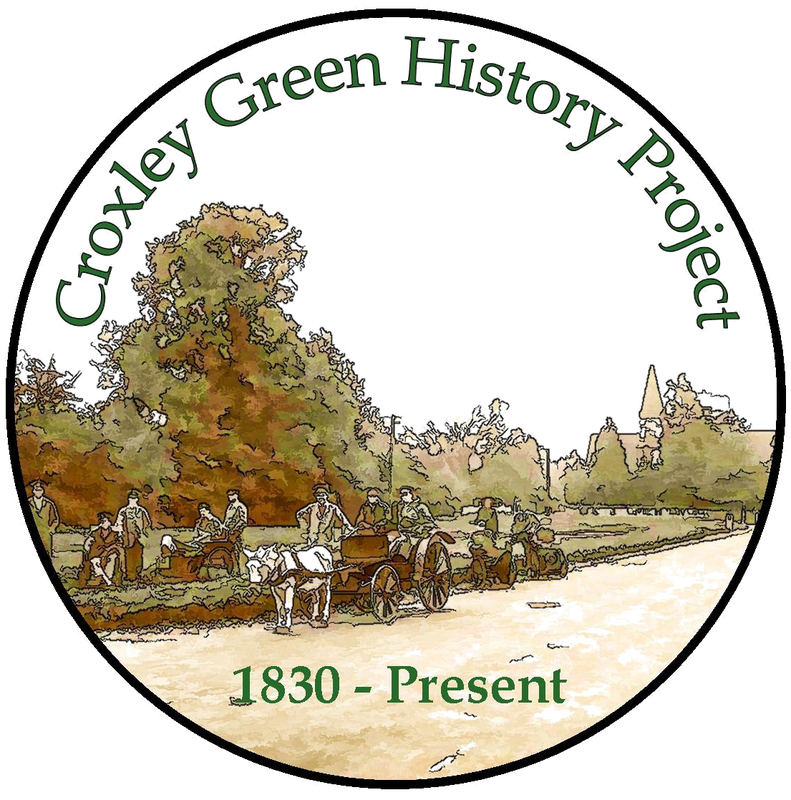 Croxley Green began to flourish in the mid 1800's as the surrounding land became attractive for the gentry to escape and enjoy the open countryside yet still be within distance of the towns. At this time their means of transport would involve horse-power to draw their carriages or carts and to ride. 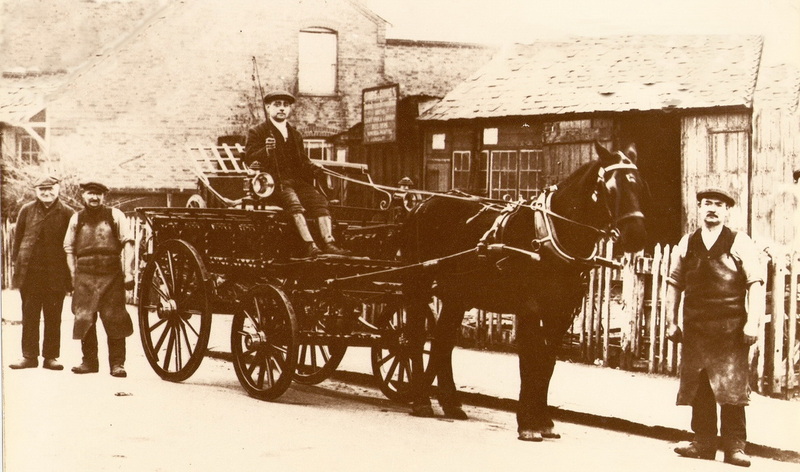 Local farmers would also use horses in the fields and in time, when the first shops arrived in the village, horse transport was used for delivering produce and goods. 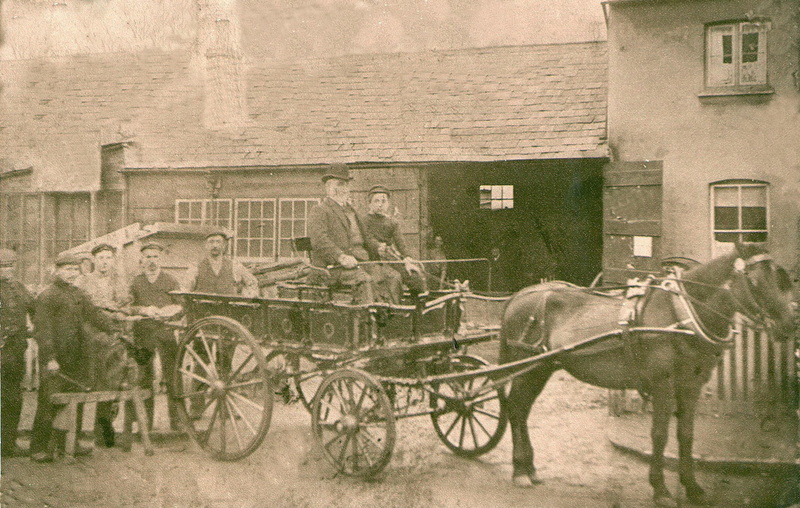 Residents as part of their memories, recall the village having at least three blacksmiths from around 1900 onwards. The locations of the smithies were at the end of Copthorne Cottages, another adjacent to The Artichoke public house and a more notable one in New Road. Jesse Gibbs and his wife lived at their family business in New Road and are shown in the 1881 to the 1911 census. The house and site is now a local garage and car repair business. Among their children they had four sons as well as a son-in-law Wally Chapman and all participated in the process of cart production/blacksmithing including the shoeing of horses. Individually they would be responsible for each separate component in the making and final finish of the cart. This would include carpentry, metal work and painting. The final finish required for the paintwork would be extremely important as the carts would have to be robust to withstand severe all year weather conditions as well as usage. For instance at least several undercoats were applied besides a minimum of four topcoats. Young village boys would be excited when the finished wooden wheels required the metal rims to be applied. This was done at the front of the premises when a fire would be created to provide sufficient heat to expand the metal rims before applying them to the wooden wheels. Once this was achieved they would require immediate cooling by dousing in cold water. A well on the site would have drawn water for this purpose. A good blacksmith would not need to strengthen the attached rim with nails. However, any such metal accessory would have to be made by the blacksmith and made individually for the conveyance. When the metal rims were ready to be applied to the wooden wheels, word would get round the village and the local lads would assemble to watch the Gibbs brothers create the necessary bonfire and watch with great excitement. 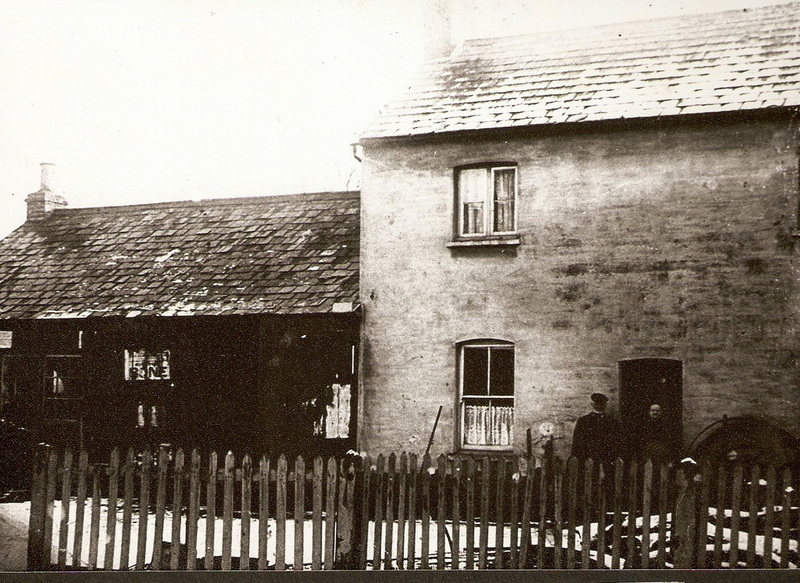 © Taken c1920's outside of the blacksmiths. Dennis Gibbs is seated on the cart, Walter, by the horse and on the far left is Wally Chapman who married Jesse's daughter Edith. Next to him is James Gibbs. Dennis Gibbs was born in 1892 and lived with his parents Jesse and Ann at 48 New Road, working at his father's blacksmith premises next door. The 1911 census lists Dennis as a Coach painter, responsible for painting the carts made in the family business. Taught to be particularly thorough he would apply at least four top coats of paints for durability, following the initial preparation of several undercoats to the woodwork. Britain declared war on Germany, 4th August 1914 and Dennis registered with the army to serve his country. He received his 'call-up papers' and enlisted on 8th December 1914 aged 22yrs at the Watford recruiting office. He was assigned on the 21st December 1914 to barracks at Woolwich. Dennis served in the Army Service Corps (ASC) 150th Company, 18th Division. The ASC changed to the Royal Army Service Corps in 1918. The largest element of the ASC was the Horse Transport section and service numbers were prefixed by the letter 'T' indicating this. Dennis' service number was T/4 037857 and his World War One records included a letter from his father Jesse dated 14th December 1914, confirming Dennis had previous experience with horses. During the war the ASC performed colossal feats of logistics moving vast important supplies and equipment from Britain to the army in France. This included horses, motor vehicles and railways and the ASC were one of the great strengths by which the war was won. Dennis married Harriett Wooding on the 4th July 1915, prior to leaving for France on the 24th July 1915. He boarded the 'Krespan' at Southampton, disembarking in Le Harve, France the following day. Whilst in France on 18th December 1916 he was awarded the Good Conduct badge and at his own request on 17th January 1917 Dennis was re-classified as a driver. When the war came to an end Dennis was also awarded the Victory War Medal before returning home and his official 'dispersal' was dated 27th March 1919. He continued to work for the family business in New Road. 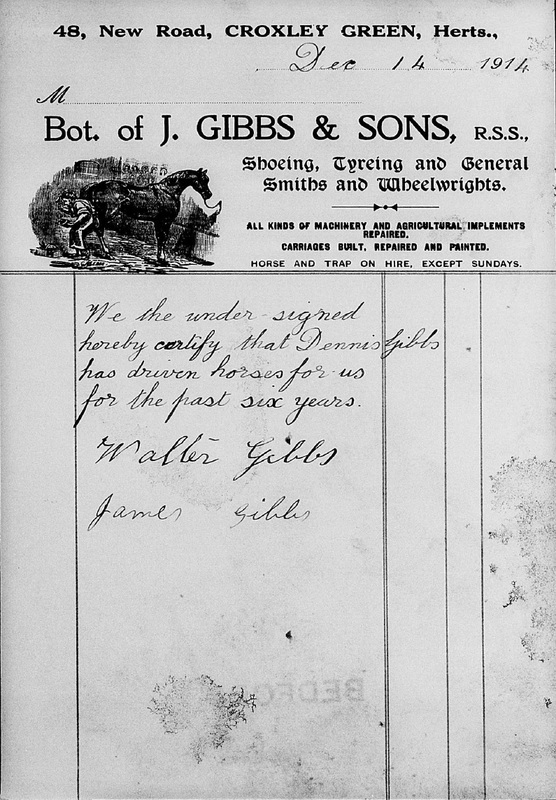 The letter to the left was sent to the Army to indicate the horsemanship of Dennis Gibbs who, at the time of the letter being written was 22 years old. 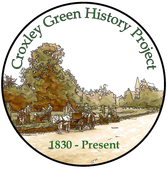 A wheelwright called Reuben Doggett lived at Providence Hall on The Green and was a well known character who would be responsible for making wooden wheels only. Reuben and his wife Catherine and son William are listed in the census between 1891 and 1911 as occupying the house. Reuben is 57yrs, Catherine 52yrs and William 27yrs in 1911. 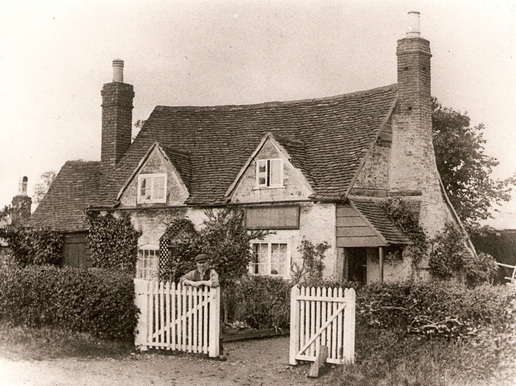 Providence Hall is actually a cottage on The Green built in the 16th century and known as 'Doggetts' when Reuben resided there. 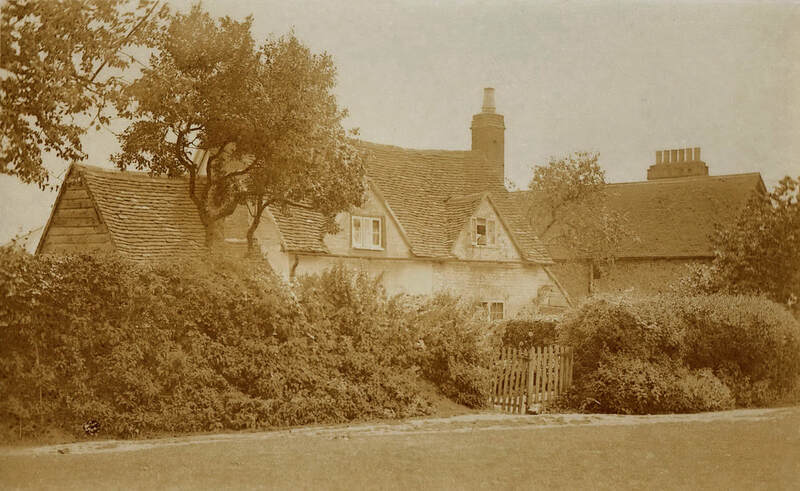 As with many properties around The Green the cottage once had an orchard attached.